ĐỒNG NAI — The State Bank of Việt Nam (SBV) branch in the southern province of Đồng Nai is inspecting the delay in paying interest and returning savings to clients of Thái Bình People’s Credit Fund in Tân Hòa Ward, Biên Hòa City. 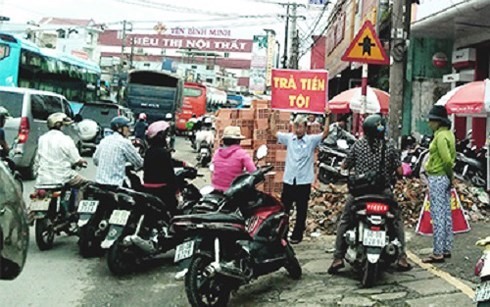 Trần Quốc Tuấn, director of Đồng Nai’s SBV branch, on Monday said the central bank is also inspecting the operation of the credit fund after some 82 locals reported they were unable to withdraw their money from the fund. They also said the fund had delayed paying them interest since the middle of last year. They claimed they sent nearly VNĐ50 billion (US$2.2 million) to the credit fund to get regular interest. As proof, they showed commitment papers signed by the fund manager, Vũ Công Liêm, admitting that the fund was receiving money from its clients. However, the clients are not getting any money back in return. The credit fund had reportedly committed violations and currently stopped operations. Its manager Liêm had reportedly quit his job and is absconding.